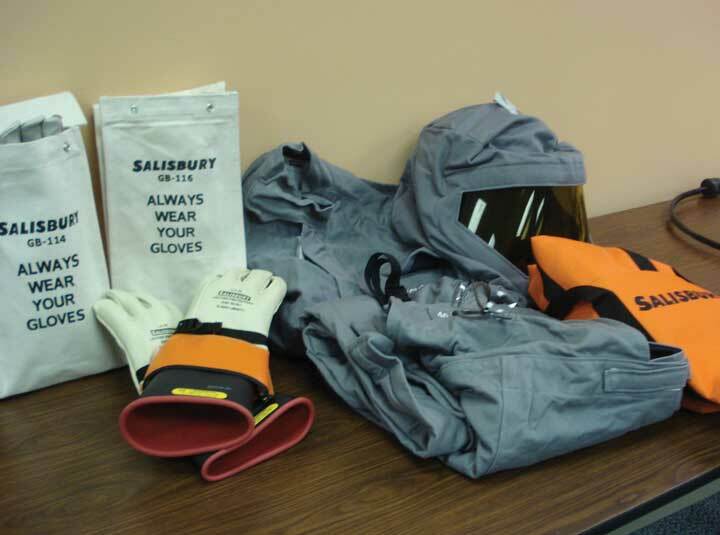 Through the years, we at NTT Training have had many clients ask us questions about electrical personal protective equipment (PPE) for their unique environment. While one size answers will never fit all circumstances, we thought we might as well share with you some of our most common questions, and how we answer them. Please keep in mind we are not trying to sell you any of these products (and we don’t get a toaster for sharing their name!). NTT Training firmly believes the circulation of ideas helps everyone. Safety comes first, and everyone should be aware of the many electrical personal protective equipment options available to the public. Q. What happens to rubber gloves in extreme cold – will they crack? A. For this one, we contacted our friends in Canada who have experience with temperatures as low as -40F. Our friends to the north say they had no issue with the rubber gloves when tested before they go out. We also recommend checking out Occupational Solutions LLC, who carry a wool blend glove liner used for warmth designed by Anne Golding. Occupational Textile Solutions is happy to talk to you about any of their products, or even provide you with samples. A. We have a client whose operators needed are regularly in a wet and slippery-to-handle circumstance (making glass bottles for happy hour-oriented beverages). This client recommends Powerflex 80-813 gloves that offer flame resistance, arc flash and cut protection. Q. Where can I find anti-static and FR items? A. One of our favorites is produced by ROFA of Germany. Fun Fact: On a recent project we learned that there is high quality arc-rated clothing and rubber gloves used in Siberia. This is because Siberia-Russia has its own standard similar to IEC 61482-1-1. Please remember that NTT Training is not recommending or endorsing any of these products, and these are simply products that we and our clients have come into contact with throughout the years. If you have a question about electrical PPE, we are always happy to share our experiences, and exchange ideas. Please call (800) 922-2820 or Contact NTT Training today!